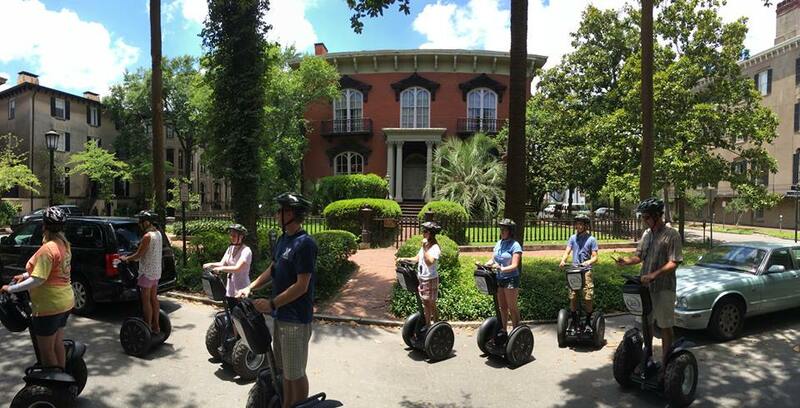 A guided tour by Adventure Tours in Motion is the perfect way to learn about Savannah’s history and culture. Photo courtesy of Adventure Tours in Motion. 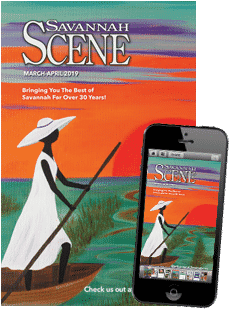 “It’s not just a tour—it’s an adventure.” That’s what Lisa Pritchard, owner of Adventure Tours in Motion, tells anyone who’s interested in taking a Segway or eBike to see the best of Savannah. 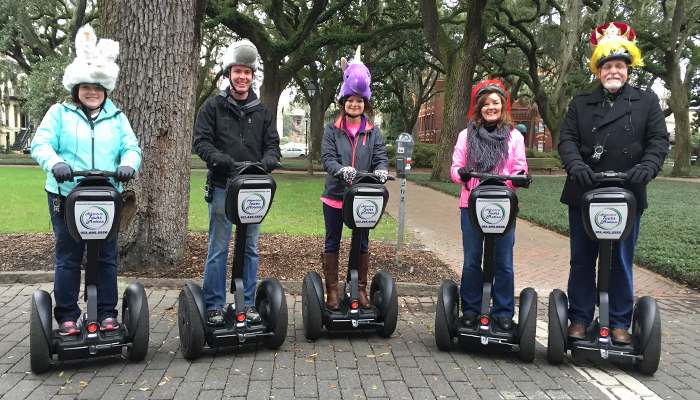 Adventure Tours in Motion offers a variety of Segway tours, including trips around downtown Savannah, Tybee Island and Bonaventure Cemetery. If you’re going outside of the Historic District, there’s no need to worry about commuting to an unfamiliar location. Adventure Tours can transport groups of up to 11 by van to outlying tour locations. “This lets us show them the laid-back island life [of Tybee], and then take them back to party in the city,” Pritchard said. A guided tour by Adventure Tours in Motion is the perfect way to learn about Savannah and the surrounding coastal areas. 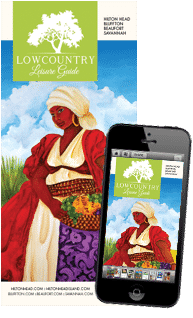 These informative tours take you deeper into the city’s history and culture and offer insight into the meanings of symbols one might otherwise not notice. For example, gravestones in Bonaventure Cemetery depicting a tree stump symbolize a life cut short. For those looking to learn more about the infamous spirits haunting Georgia’s First City, don’t miss the daytime ghost tour by Adventure Tours in Motion. Instead of rehashing folklore, the tour takes visitors to sites with confirmed ghost sightings. Whatever your style, Adventure Tours in Motion has a fun helmet to match! Photo courtesy of Adventure Tours in Motion. One unique aspect of every Segway and eBike tour—besides the wheels you ride—is the fun headgear. The helmets come with a wide range of decorations to let you breeze through Savannah while displaying your own personal style. Whether you ride as a unicorn at the front of the pack, or a shark in the back, you’re sure to have a blast. The Segways are self-balancing machines; the only skill needed to operate one is the ability to stand up. Every tour participant goes through a brief lesson on how to safely maneuver their Segway. When you feel comfortable on it, that’s when the tour starts. Adventure Tours in Motion is located at 303 Tattnall Street, near W. Liberty Street. To schedule a tour, call (912) 495-5556 or visit adventuretoursinmotion.com.